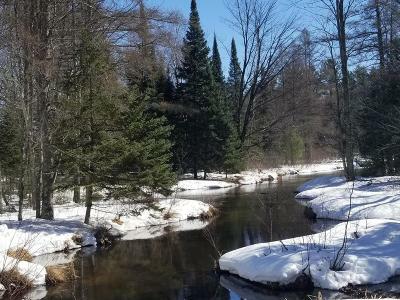 If you&apos;re looking for the ideal spot to build your up north getaway, or to set up deer camp, look no further. This UNIQUE 37 ACRE lot is a hidden beauty. Just miles outside of Tomahawk, you have the peace and quiet of the woods, but the convenience of town. This lot is mostly highland that has a mix of Pines and Hardwoods and the tranquility of the Muskellunge Creek rolling through it and access through the creek to Muskellunge Lake! You&apos;re going to want to see this one before it&apos;s gone!